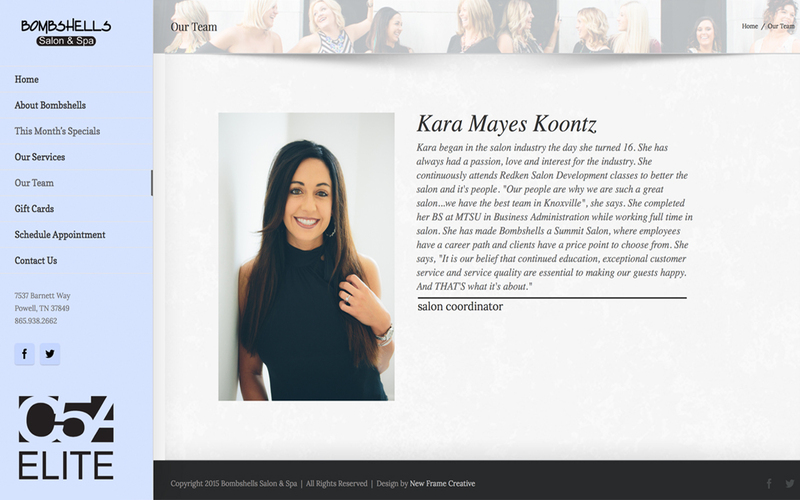 New Frame Creative created a new custom website for Bombshells Salon and Spa, an upscale salon located in Powell, TN. After six years with their previous website, it was definitely time for a refresh. The new site features large format photography, a side menu for simple, consistent navigation, an appointment scheduler, beautiful staff bios, and an e-commerce system for purchasing gift cards.